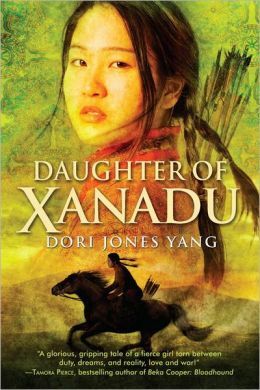 This week's Book Giveaway is Daughter of Xanadu, by Doris Jones Yang. Judging by the somber cover art, the story won't be a rollicking good time, but I notice the main character shares several characteristics (and a birth year) with Khutulun*, so there might be a happy ending in store. Our review will be posted later today. *If you'd like a more colorful account of the Khutulun's life story, she was once featured on Rejected Princess.